Design your best gardens ever with our eye-catching tips, ideas and plant recommendations. A beautiful garden takes time, effort, money and maintenance. Starting with a good garden plan can help cut down on all of those things. Thinking about your yard or garden before getting to work can create a unified area that accents your home and provides years of enjoyment. 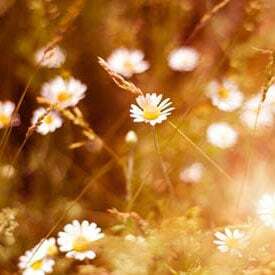 Consider the factors that will affect how your garden will grow — sunlight, shade, wind, drainage, access to water, foot traffic patterns — and the balance between lawn, shrubs, flowers and vegetables. A landscape analysis that considers these and other factors is an important first step in garden planning. Before you know what you want, you need to figure out what you have. Start by drawing a map of your yard with existing trees, shrubs, slopes, patios and whatever else is out there. The map can be as formal (a scale version on graph paper) or casual as your need for detail dictates, but the more accurate it is, the more thorough your garden plan will be. 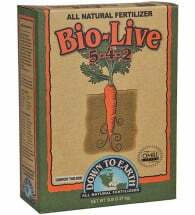 Make note of the factors noted above that influence the kind of plantings that will follow. Locate areas with full sun and partial shade. Indicate places that are sheltered from the wind and where the best soil is. Also note the paths people take to get from one place to another. These might be actual paths of brick or stone, or just the routes that commonly get used. Are there places the kids like to play or the dogs use? And consider the viewing angles when placing plant groups and gardens. Where will people be when they are admiring your work? Water sources are another important detail to add to the map, whether that means underground sprinklers or simply a spigot. Elevations are also important. Does the land slope towards its borders or rise in the center? Generally, you’ll want drainage to move away from your home, not toward it. After you’ve mapped out the yard and have a thorough understanding of what’s out there, it’s time to figure out what you want. There are a lot of ways to start thinking about your garden plans. One way is to walk around your neighborhood and take note of what you like and don’t like. Or peruse gardening books (Janet Macunovich’s Designing Your Landscape and Garden is a step-by-step, goal-oriented description of discovering and realizing your perfect outdoor space), magazines (Sunset and Better Homes and Gardens) or apps like iScape. Take a field trip to your local garden store and ask a lot of questions, particularly about what plants are best suited to your area. Design your garden around a theme. Do you want a Japanese tea garden, a butterfly garden, an organic vegetable garden, or simply a landscape to sit and relax in? Will your family want a lawn to play catch on? An outdoor room to host dinner parties in? Something low maintenance, or a place to spend a lot of time playing with plants? Now that you have a map of what’s already in the yard and an idea of what you want, it’s time to put the two together. Reevaluate your garden dreams based on your budget and the types of plants that can grow in your region. A total revamp of the yard might be prohibitively expensive; perhaps some perennial flower borders might be more practical. Likewise planning for ferns and redwoods in Arizona just doesn’t make sense. 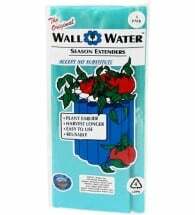 Surf the web, ask questions on garden forums or check with the Cooperative Extension Service in your area about what plants grow best and require the least amount of water and maintenance. Using your original map, draw where you’d like to see new features. A veggie garden instead of lawn? Flowerbeds along the edges of a walkway? Maybe even a water feature, say a fountain or reflecting pool, in the shade of a large tree. Think about what each new feature needs (for example, a vegetable garden requires lots of sun, good soil and frequent watering) and decide whether it will work in your place of choice. Consider the placement of paths. Frequently traveled areas may need a wide, direct path. Less traveled routes can be no wider than a foot-path and can comfortably meander from destination to destination. Choose a surface — pavers, gravel or bark– that matches your home and yard and is affordable. If there is a nook out of view — from both you and the neighbors — it might be the perfect spot to tuck away a compost pile or in which to nestle a small shed. Use shrubs to screen for privacy or block off unsightly parts of the yard (like the compost). Or plan for a privacy fence. There are several things to consider when picking out plants. Budget, ease of care, compatibility with neighboring plants, aesthetics and size all come into play in garden design. When choosing trees and shrubs, consider their height and width at maturity. A sapling takes up a lot less room than a full-grown tree. Not only do trees need adequate space and resources, they can be damaging to houses and sidewalks if planted too close. Large trees and shrubs can shade out other plants, so carefully decide the size and location suitable to your plan. Many flowering trees bloom with pretty flowers in the spring or summer and have colorful autumn foliage. 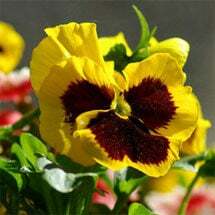 Choose native varieties for best results. Flowering trees can be used as specimen trees on the lawn or as accents in the flower garden. They usually don’t grow as tall as shade trees, but can be useful for pinpointing shade on picture windows and doorways. Some deciduous and most evergreen shrubs need full sun while broad-leaved shrubs thrive in the shade. With proper planning you’ll know which type to pick for your yard. Native plants can be an environmentally sensitive and cost effective way to landscape your garden. 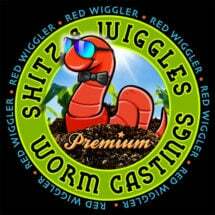 Because they are acclimated to the area they need less watering, fertilizing and overall care. See Go Wild with Native Gardening for advantages and uses of native plants. Consider the form, color and texture (surface structure and density of leaves and flowers) of various plants as you make choices for individual gardens and other plantings. Don’t hide smaller plants behind larger foliage. Keep larger plants in the background, smaller plants in the foreground. When is comes time to get your hands dirty, it helps to layout the garden on the ground — literally. Imagination becomes a valuable tool here. 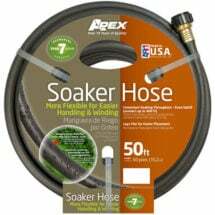 Use garden hoses or string to mark off paths, borders, flowerbeds, vegetable gardens, lawn and where any other features will be. Fill a trash bag to simulate shrubs; place it on the end of a big stick or pole to make pretend trees. Then walk the marked paths, move around the yard and test out the new look. Ideas that look great on paper sometimes don’t translate to reality, so make your test garden as realistic as possible. Check the view from various places in the yard, from the house and anywhere else the garden can be seen. 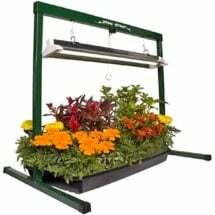 Watch how the shade moves during the day and move your plantings as needed. As with any type of garden, start by measuring and sketching your space on graph paper. (There’s even software available for designing your gardens; see 3D Garden Composer.) Mark where there are shady and sunny spots and existing features. 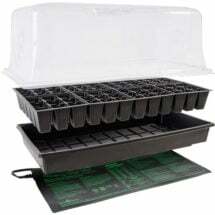 Now you know how much room you have to plant. Before the fun part (planting) comes the preparation. 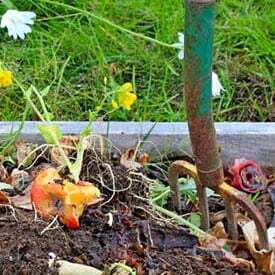 Dig out any weeds, till the soil and add any amendments the soil requires. It never hurts to mix in a healthy dose of compost. Preparing the soil now will save time and effort in the future. Flavorful and exotic, heirloom herbs have passed through kitchens and tea rooms for generations. 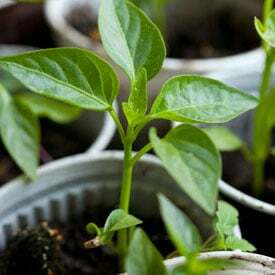 And they’re easy to cultivate… try raising them indoors! 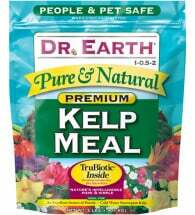 Planting instructions are included with each packet and shipping is FREE! Need advice? 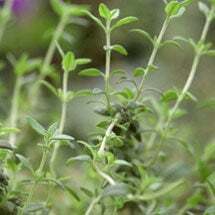 Visit our herb growing guides for tips and information on specific types. Considering the height and breadth of shrubs in 5-10 years, start picking out both evergreen and deciduous shrubs with interesting foliage or pretty flowers that are appropriate for your region. In general shrubs are planted at the back or middle of a border and herbaceous perennials near the front or middle. If you have an island border, then the taller shrubs can be planted in the middle and the shorter plants around them. 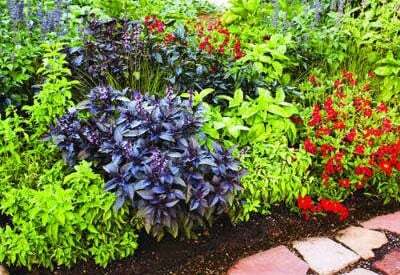 When picking perennials look for a mix of showy flowers and beautiful foliage. While plants are still in their pots, place them in the border to see how they look. Don’t forget that they will fill out and spread. Be sure to leave adequate space between them. Clump same species and same color together in patches of 3-5 plants. If there are big empty spaces that you are waiting to fill in, add some colorful annuals. For hardy perennials, plant in the early fall so they can establish their roots before winter. When spring rolls around, these plants will be ready to take off. Perennials can also be planted in the spring, but they will require more water and maintenance than fall-planted plants. Start planting at the back of the border and work forward (or the middle and work outwards for island borders). Then water well and mulch around the plants. When planning a vegetable garden ask yourself how much time you want to spend in it. 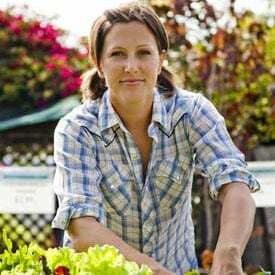 Unlike perennial gardens, vegetable gardens require constant attention; they need to be weeded, watered, maybe fertilized and certainly harvested. 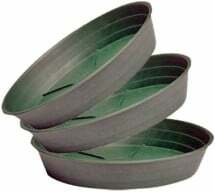 You may need to manage pests and process the harvest as well. The size of the garden and the variety of plants in it dictates how much time you’ll need to spend tending it. Decide how much space you have that can be converted into usable garden. Your space should get 6-10 hours of direct sunlight and be fairly level with loose, well-drained soil. 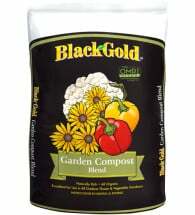 Take the time to prepare the bed with good organic matter (like compost). This is much easier to do before anything is planted. Trees and shrubs can compete for water and nutrients, as well as shade the garden, so keep the veggies away from them. Watch the shade patterns in the garden throughout the day and season, if possible, to determine the sunniest locale. 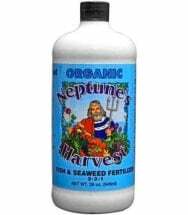 All heirloom vegetable seeds offered by Planet Natural are non-treated, non-GMO and NOT purchased from Monsanto-owned Seminis. 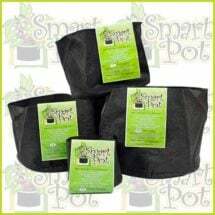 Planting instructions are included with each packet and shipping is FREE! Need advice? 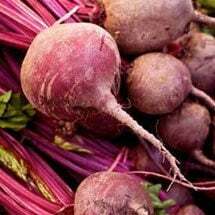 Visit our vegetable guides for tips and information on growing specific types. If a sloped hillside is all that is available, plan to use terraces, contour rows, or raised beds to avoid erosion. South-facing slopes are warmer than north-facing slopes. Also, avoid places where water and cold air settle such as low spots in the yard or the base of a hill. Be sure to pick a place that has access to water and convenient to the house so you can work on it for short periods of time if that’s all you have. If you must grow in a windy spot — and try not to — plant or build a windbreak to protect fragile plants. Consider raised bed gardening rather than planting in rows. This keeps the soil from getting compacted (due to people walking on it) and makes it easier to concentrate compost and organic fertilizers. Raised beds should be 8-12 inches tall and no wider than you can reach across to weed, plant and harvest. Once you’ve decided where the garden will go and what size it will be, draw an outline of the garden and beds on graph paper. Indicate where each type of plant will go. Keep in mind that some plants grow better together than alone; this is called companion planting. A list of compatible and non-compatible plants can be found at the National Sustainable Agriculture Information Service (ATTRA). Rotate crops every year so that one species is never in the exact same location more than once every three years. Flower gardens are probably one of the most enjoyable gardens to plan, plant and play with from year to year. Ask yourself what your particular style is and what will look most appropriate with your home. For instance, an English garden looks great around a Victorian home, while a xeriscaped garden, one that reduces the need for watering or irrigation with a lot of rocks and flowering cacti, might be better suited for an adobe house. When choosing a location, consider planting the flower garden close to an existing structure (house, patio, fence, window etc.) to create a transition between the house and the yard. Existing trees and shrubs (or new ones) can lend form and act as anchors for the garden. Evergreens will continue to add color and texture in the winter after the annuals have died and the perennials have gone dormant. Start with as wide a bed as you can get away with. It might seem like an intimidating amount of space, but flowers fill in quickly and within a couple years, you’ll be looking for more room for all your plants. 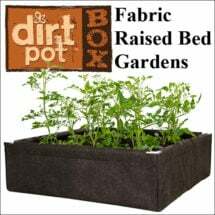 A bed that is 5 feet wide provides enough space for three layers of plants, making a lush, full garden. The longer your bed, the wider it should be. Use a garden hose to outline pleasing shapes and gentle curves before digging out the bed. Then, add a path, bench or fence to add more interest. To assure color and blooms from spring to fall, choose a mix of bulbs, annuals and perennials. Add plants that with interesting foliage that can provide texture and color year round. 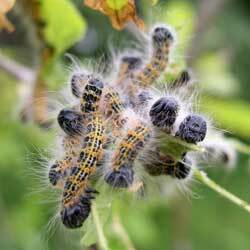 Think about whether you want to attract wildlife, add beauty, or grow lovely-scented flowers. To create interest, plant in odd numbered groups rather than even numbered, and place several, same-species groups throughout the garden. Massed colors will maximize color contrast. As with borders, plant tall growing flowers in the back (or middle for island gardens) and low-growing flowers in the front. Patios, decks and pathways make the garden usable and provide space for you to enjoy all your hard work. A spacious sitting area (one where you can push the chairs back without them reaching the edge) is the perfect spot to enjoy the garden. A variety of deck plans, some using eco-friendly materials, can be found here. Think about the placement of paths. In frequently traversed areas, paths should be at least 3 feet wide and travel as direct a route as possible. Decide what type of stone, brick, gravel etc. matches your home and yard and is affordable. Paths can be as wide as your space allows. Keep in mind that they will get functionally narrower as plants spill over the edges from surrounding borders. The final test of your garden design is to settle in to it. Wander the paths, sit under the shade trees, pause to admire the flowers and features. You’ll know you’ve succeeded if you feel a sense of pride, a feeling of peace and an overwhelming surge of accomplishment. Do you have any books that i could read? Thank you for the nice words. Please visit our bookstore here. Great article! I’m just starting out – and am a bit overwhelmed. We have a pretty small yard, lots of pots and right now we have plants and pots everywhere! It’s driving me nuts. So, this spring we are starting over! Any other suggestions would be great!